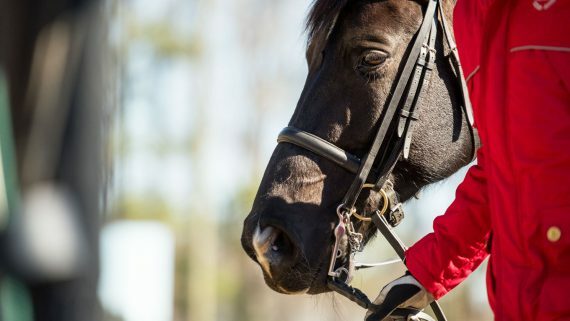 Hours: Mon.-Fri., 8 a.m.- 5 p.m.
We operate primarily on a referral basis, with the patient’s primary veterinarian referring them to the NC State Equine Service by calling us to discuss the patient’s condition. The equine medicine service receives elective cases routinely between 10AM -12PM weekdays and at other times by special arrangement. Please call between 8-5 weekdays for an estimate and appointment. It is our goal to deliver the most complete service as efficiently as possible. The length of your visit is variable depending on your horse’s specific needs. Give yourself plenty of time for the appointment. You are welcome to bring snacks/lunch and we have a coffee shop along with several vending machines. What If My Horse Needs To Be Hospitalized? Should your visit require hospitalization, your horse will be monitored 24/7 by your primary faculty clinician, residents, veterinary technician staff, and senior veterinary students. We encourage patient visits between the hours of 11 a.m. – 12:30 p.m. and 4-6:30 p.m. Just stop by the reception desk and a receptionist will page someone to meet you and take you back to your horse’s stall. If those times aren’t convenient for you, please let us know and we will make arrangements for you. You can expect a call once daily from your veterinary team regarding your horse’s well-being unless other arrangements are made. You will be contacted as soon as possible if a problem arises. What Happens When My Horse Goes Home? At the end of your appointment or when you come to pick up your horse, you will go into the Large Animal Reception Desk where you will pay your bill and receive your discharge instructions. Once you have finished there you will proceed to the breezeway where you will meet up with someone from your veterinary team and go over your discharge sheet to be sure all questions are answered and that you have any medications you need. Now it is time to load up so you may pull your trailer into the breezeway. How Can I Share Information With My Primary Veterinarian? We also understand that the care of your horse involves many people. If you have not been directly referred by a primary care veterinarian, please let us know if there is a veterinarian we need to provide information to regarding the treatment of your horse. American Association of Equine Practitioners. This site has an excellent owner eduction section. Additional resources may also be found at the NC State College of Veterinary Medicine’s website.